If you plan to start making money on the internet, then one of the first things that you are going to need is a way of doing so. That is, the site that you create must have some method of making money for you, which in internet marketing terms is a process known as monetization. There are many different ways that you can make money from a web site, and the best part about it is that some money making methods can be instigated almost immediately. Perhaps not too surprisingly, however, the monetization methods that tend to be the most profitable are also the ones that take the most time and effort to put in place as well. 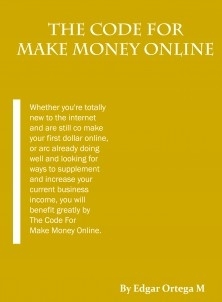 In this book, we will therefore look at a broad range of methods of monetizing both web sites and blogs, principally as a way of demonstrating just how easy it really can be to start making money online. We will also consider the places that you can find these money making resources as well.